This Friday I'm joining up with April, Natasha, Darci, and Christina in their Five on Friday Link Up. Here are the five things I'm loving this Friday. Last night my good friend Megan and I went to Fashion On The TOWN put on by Greenville's TOWN Magazine. Fashion On The TOWN is a shopping crawl held once a year in Greenville for two nights. To partake, you pick up a passport from one of the participating stores. Your passport contains information an all of the stores, coupons and discounts for those retailers, and a map of where each place is located. The last page of your passport has an area where each store can stamp, proving that you've been to that place. The goal of the night is to get as many stamps as you can. At the end of the event your name is entered into a drawing to win a trip to NYC. The number of stamps you get determines the amount of times your name is entered into the drawing. All of the participating retailers pull out all the stops for the shoppers, too. Each place had complimentary drinks and food, and some offered an additional discount off of all of their clothes. They even offered a car service that would take you from store to store. It was truly an amazing night. One of the boutiques that we visited last night, Augusta Twenty, had a Día de los muertos theme. They brought in two psychics to do readings. I've never had a reading done before, and thought that this may be the only opportunity I ever have to get a free one done. I've never been a big believer in clairvoyance, but it was quite interesting to hear what she did have to say. The reader said that I would have a long happy life, so I hope that part is true! It's been quite a busy week, and every night I've found myself scrambling in the kitchen at after 7 pm trying to whip up a quick dinner. Earlier this week I threw together a fish dish that I found on Pinterest. I was not expecting it to be an amazing dish, but T could not stop talking about how much he loved this fish. He's even requested that we have it again next week. 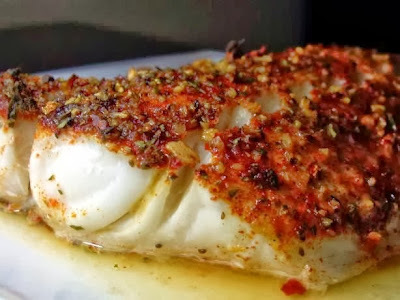 The recipe is a Chili, Lime and Cumin Cod (I used Orange Roughy) and I also served a Tartar-Like Sauce with it. 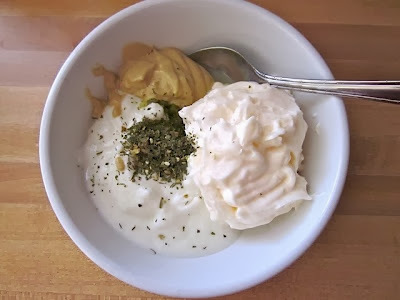 The tartar sauce is not too bad for you either, you cut some of the mayonnaise out and substitute it with plain Greek yogurt. Sauvignon Blanc has always been my white wine of choice. I'm not a huge fan of the Charles Shaw Sauv Blanc, but Trader Joe's has recently started carrying another one that I love for just a dollar more. This Chilean Sauvignon Blanc is so clean and crisp and not too grassy; just how I like it. And at $3.99 a bottle I'm tempted to buy a whole case. Once again we're headed to Clemson this weekend to cheer on our Tigers. We've maintained the #3 spot for several weeks now and this game on Saturday is HUGE. For the second time this season ESPN Gameday will be in Tigertown as we play the #5 Florida State Seminoles. Wish us luck! Oh my goodness, I am going to need to know more about what the reader said! That is crazy! I should come in to town some time for this event ... too much fun! Started following this week...I'm from Columbia, but my parents are from Greenville originally so I travel to that neck of the woods often! I'm also a Clemson fan!! GO TIGERS!! looks like a blast, girlie! love fun girl times like that! love the pics! I love that wine too! Hope to see y'all this weekend!! The cod looks to die for!!!!!! That TJ's sauvignon blanc is my absolute fav and has been my go-to for years. In my opinion, it's better than some of their more expensive sauv blancs. The Vinas Chilenas cab sauv is pretty good too!